Yesterday, OSHA announced it would delay the enforcement of the crystalline silica standard until September 23, 2017. Originally the standard was slated to go into effect on June 23, 2017. The additional ninety days is a good thing for contractors. The Construction Industry Safety Coalition is pleased that OSHA has recognized the need to develop guidance material for the construction industry before enforcing the silica rule, and we remain committed to working with the agency to create a feasible standard that promotes safe and healthy jobsites. While the CISC appreciates the 90-day delay in enforcement, the CISC remains concerned about the overall feasibility of the standard in construction and has requested that the Agency delay enforcement for a year. We will continue to pursue legal avenues to stop the Crystalline Silica Standard from going into effect as is and will continue to explore other remedies. The 2017 application deadline is May 27. Eligibility: Any high school senior whose parent or legal guardian is employed by a NUCA member company in good standing at the time of the application deadline may apply. 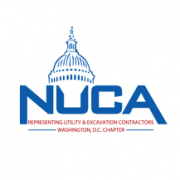 This includes dependents of employees of NUCA members, high school student employees of NUCA members, and dependents of NUCA Chapter Executive Directors. How Applications Are Judged: Selections will be based on the overall worthiness of the applicant by a panel of judges chosen from NUCA membership by the NUCA Scholarship Committee. The Committee will consider standardized test scores (SAT, ACT, etc. ), community service and extra-curricular activities, career goals, work experience, essay, and other information required in the application. Applications and transcripts will not be returned, and scoring will not be divulged. Judging decisions are final. Judges will decide impartially and without respect to the identity of any applicant. Judges will award the greatest value scholarship to the highest scoring applicant and award the remainder in descending order of value and merit. Judges will also select a first and second alternate in the event that an announced winner is subsequently disqualified or declines award prior to issuance of the award checks in the late summer. Alternates will not be announced. Confidentiality of Applications: Information on the applications will be retained in confidence and used for no purpose other than this competition. Applications will be destroyed by NUCA after they are no longer necessary records. Applications and transcripts will not be returned. Please note that we ask permission to use winning applicants’ essays in NUCA publications, presentations and/or exhibits. Please sign the release where requested. If you are a winner, we will also request your photograph for use in these publications. Award Notification: Applications will be judged and winners announced by Friday, July 14, 2017, and notified by phone and email shortly after.